For many years these parables were a bit of a mystery to me. I couldn’t understand what the big deal was about the mustard seed. I sort of understood the “God makes small things into large things” concept, but not enough to justify the Christian world’s fascination with the mustard seed. What was the big deal with this incredibly short parable? Then I had the pleasure of teaching this parable as a Godly Play story. When I opened up the golden box for the mustard seed parable and laid down the yellow felt underlay that most kids agreed looked like a lemon, I wondered how this story would go. Then as we began to unroll the large brown felt bush and talk about how the smallest of seeds became the biggest of bushes, I thought the meat of the story was behind us. But then came the surprise. 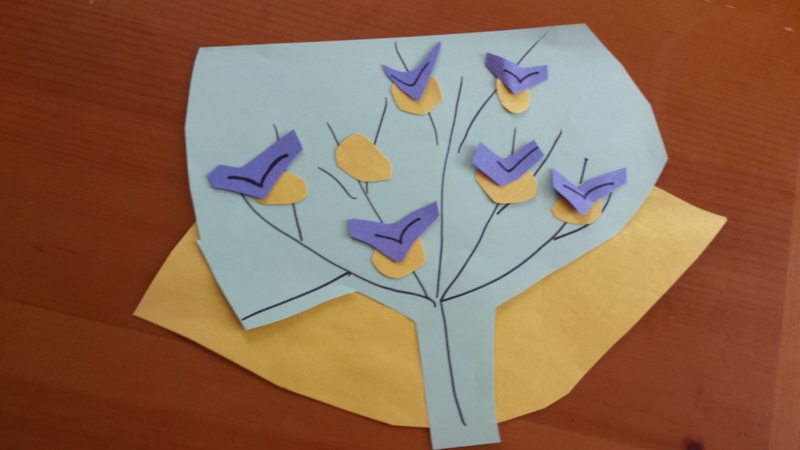 As we talked about how all the birds of the air came and made nests in the mustard bushes branches, the children put little felt bird nests on the many, many branches of the tree. My group of middle elementary kids spent forever arranging the nests just right. Then we handed out the birds and the real fun began. The children would fly the birds around a bit and then let each one settle into its just right nest. Even though there were many birds, there was plenty of room for each one to have a comfy, spacious nest. About this time it hit me how the mustard seed passage speaks to abundance and grace. It shows us the kingdom of God is big enough for all us “birds” to have plenty of space to make a nest in the shelter of its branches, that there is room enough for us all. It is much the same with the parable of the leavened bread. We do not have to eat from some small loaf of dry bread. Ours is a kingdom that rises and expands, making enough fluffy bread to satisfy us all. Have you ever felt like there wasn’t a place for you? Was there a time when there wasn’t enough food or room to go around? How does it feel to know that there is always a home and enough bread for you in the kingdom? What are some ways that we can practice the “bigness” and “roominess” of the kingdom at church? What would it feel like to invite the new kid at Sunday School to join you at your table or in your games? What would it be like to scoot over in church and invite a stranger to join us on our pew or row? What are some ways we can practice abundance and “roominess” in our home? Is it fun when we invite guests over for dinner? What would it be like to leave an empty place set at the table, just so there always room for one more person (one more bird in the bush)? We thank you that yours is a big, roomy kingdom with enough to go around for everyone. Help us to live not with a spirit of scarcity, but with a spirit of abundance. Let us feel so secure in your provision for us that we are quick to share with others. Amen. Take some pinecones and attach yarn or string to the top of the pinecone by wrapping the string around the upper levels of the cones. Leave some string hanging on either side so that you can make a loop and knot over the tree branch later. Cover the edges with peanut butter or another sticky substance. Roll the sticky pinecone in a bowl of birdseed. Pick a nice tree to hang your bird feeder from. Wrap the yarn around a low hanging branch and tie a good knot. Enjoy watching the birds of the kingdom find shelter and food in your own yard. Dena Douglas Hobbs is a writer and yoga teacher who lives with her husband and two children in the piney woods of Georgia. She has written the advent devotional Lighten the Darkness: An Advent Journey Through Hope and blogs twice weekly at Centering Down .